Our Wood Chews are safe, natural and fun treats for small pets. They are made of pine with an enticing fruit flavor. 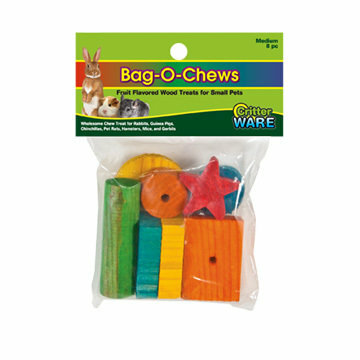 Chew treats keep teeth trimmed and provide a fun activity that relieves cage boredom. Additional shapes available.